Bye Bye Under Eye - Bomb Proof Concealer? 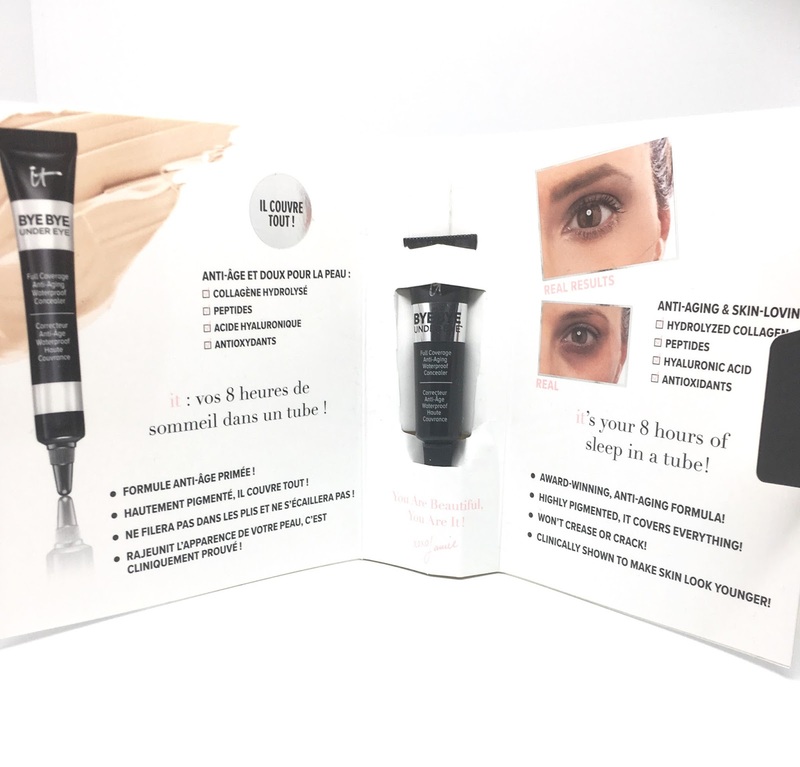 I have heard many concealers 'claim' to cover the dark circles of a sleepless night, a night on the town, or just general wear and tear but apart from the much talked about Collection concealer I haven't found one that covers the above.....until now! 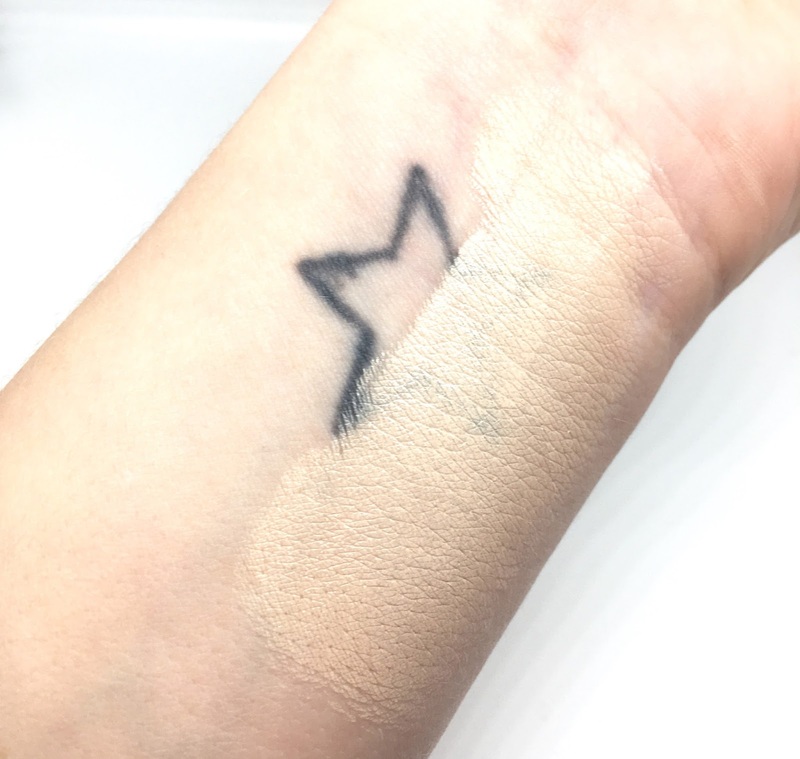 I adore my Collection concealer however I do think it's more of a brightener than a cover-up concealer, so when I was kindle sent this sample from a new-ish brand IT Cosmetics I has dying to test it out. 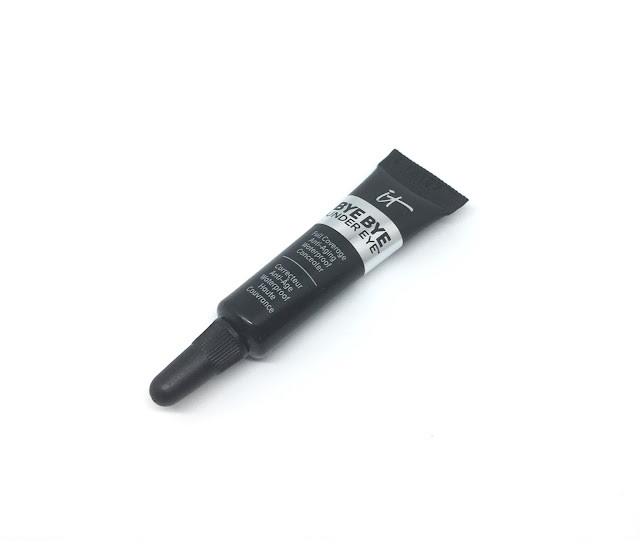 "Developed with plastic surgeons, this best-selling, award-winning, cult-favorite waterproof concealer delivers highly pigmented, long-lasting coverage that won’t crease or crack. Infused with high-performance pigments and anti-aging peptides, vitamins, hydrolyzed collagen, hyaluronic acid and antioxidants, the game-changing formula improves the appearance of wrinkles and effectively conceals the look of skin imperfections including dark circles, bags, redness, hyperpigmentation, broken capillaries, age spots and discoloration. 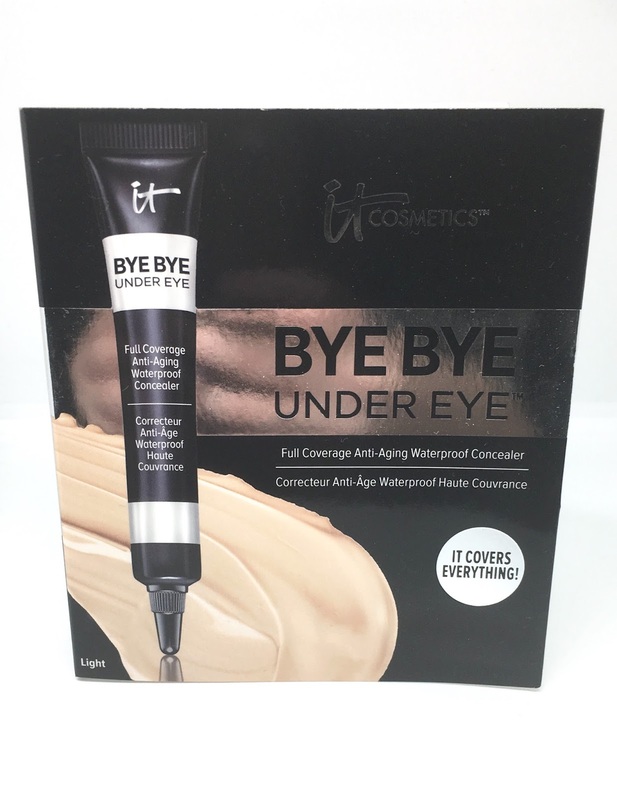 Finally, a multitasking, full-coverage concealer that makes your skin look younger!" So IT Cosmetics is a new brand to me but from a bit of research they have been around in the US for some time and now us lucky Brits can enjoy it too! The likes of Selfridges, QVC and Amazon currently stock the brand. I decided to give it ago today, on a cold Monday morning where it was a struggle to even open my eyes when my alarm rudely woke me up. With a full on day at work I thought it was a great time to test it out. I applied quite a large amount and quickly realised a little goes a long, long way - I resembled someone attempting to paint there entire face at first but after a quick adjustment I was happy. The consistency is quite thick and you can tell it's waterproof as it almost has a waxy feel without being waxy, if that makes any sense. It lasted allllll day. I left the house at 7:30pm and got home to inspect my face in the mirror at 6:00pm - no dark circles and minimal wrinkles. 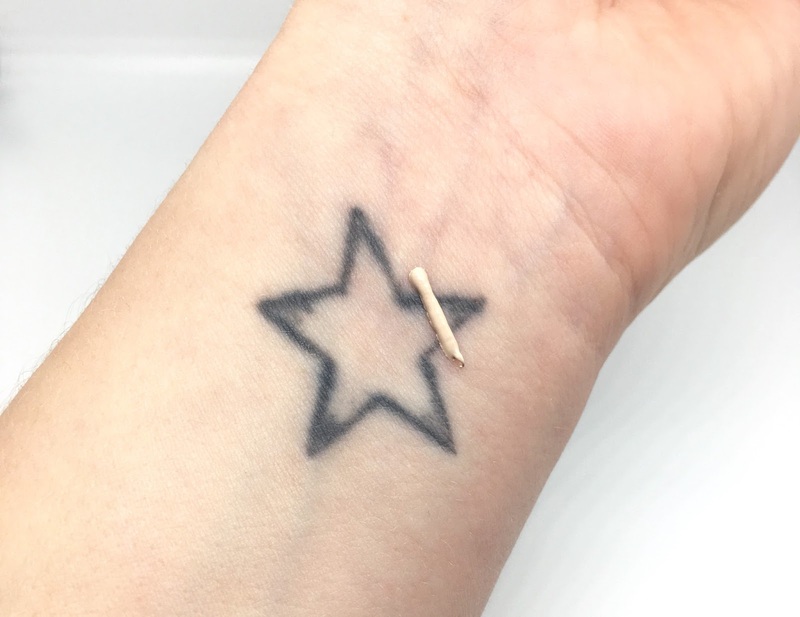 To show you the coverage power I thought I would test it on my tattoo. I am really impressed with the coverage. OK, you can see my tattoo through it but no ones dark circles are that dark.....are they? If you suffer from dark circles, or just want to brighten your under eye and cover up some wrinkles then I would definitely recommend giving this product a go. Plus it comes in 6 versatile shades!